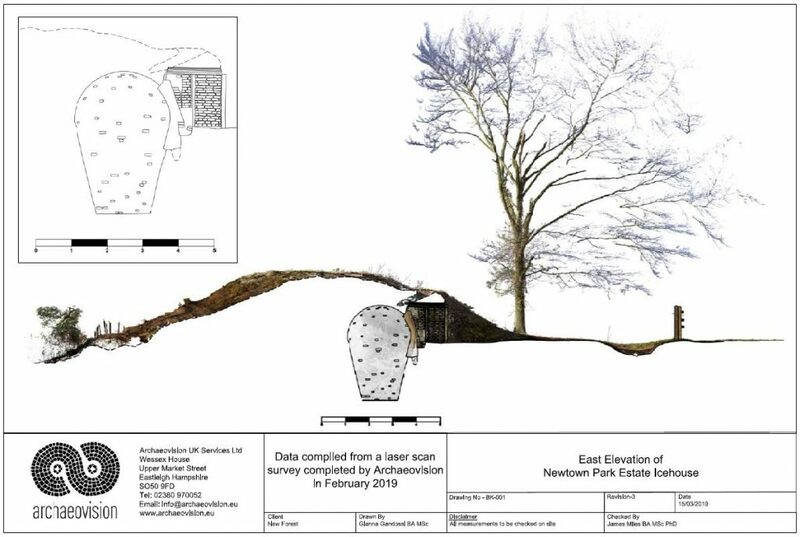 In February 2019, Archaeovision member Gianna Gandossi conducted a laser scan survey of the Victorian-era brick ice house located on the grounds of Newtown Park Estate, two miles east of Lymington in the New Forest, Hampshire. 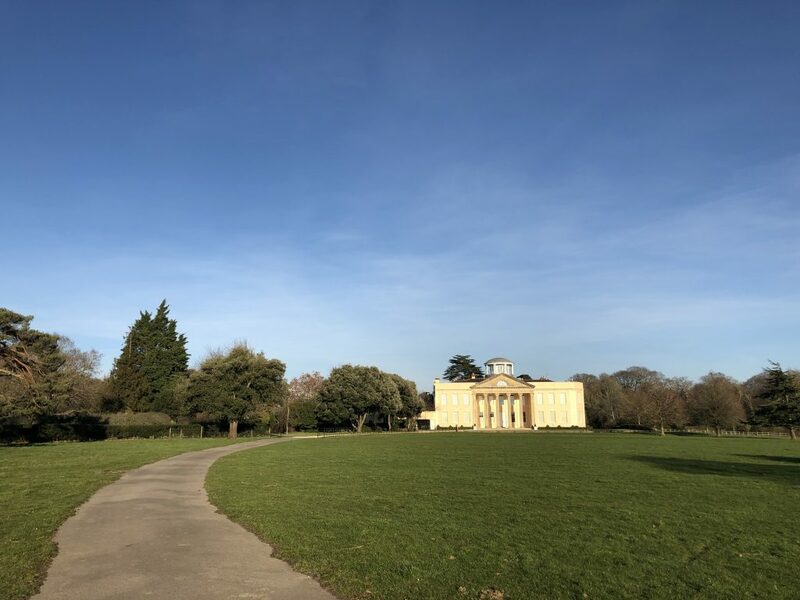 Newtown Park Estate is an 18th-century grade II listed house. 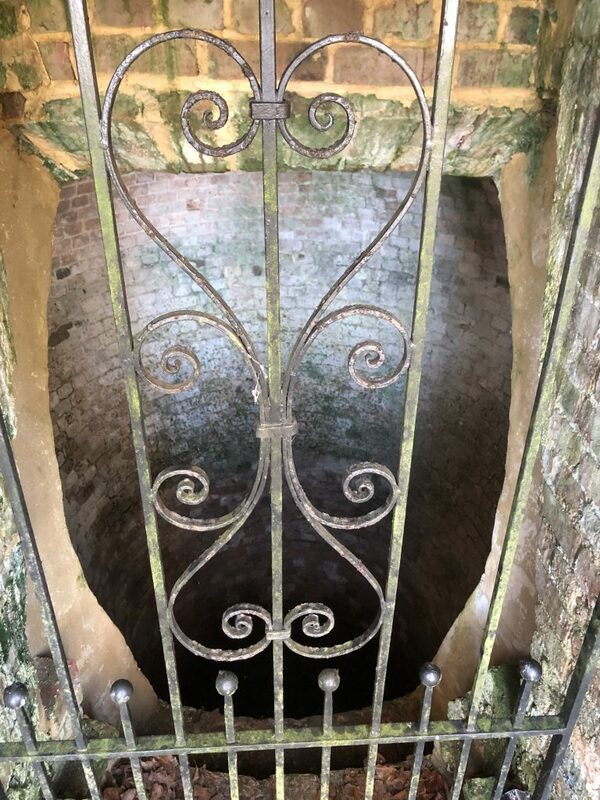 The ice house on the grounds was historically used to store ice throughout the year. The underground brick-lined domed chamber and north-facing entrance provided optimal insulation for the ice to remain frozen for many months. 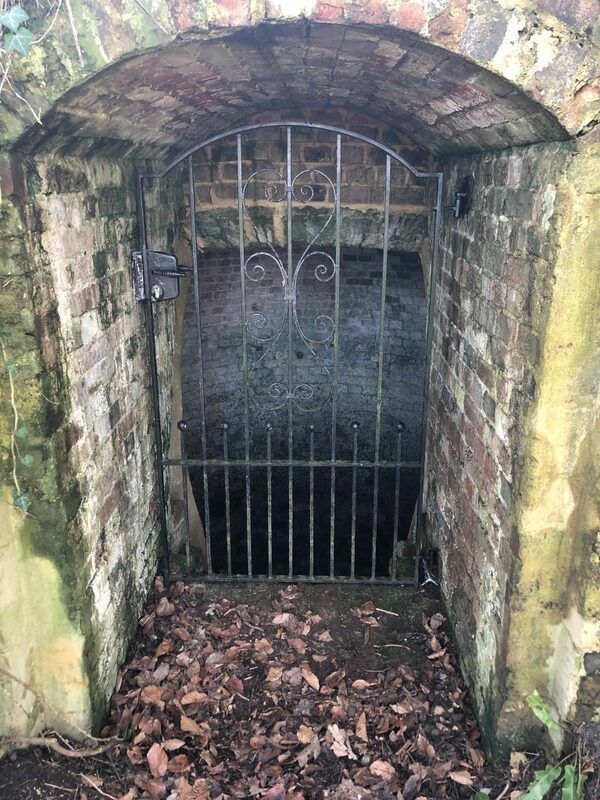 The ice house is approximately 4 metres (13.1 ft) deep and 3 metres (9.8 ft) wide, and covered by an insulating earth mound. 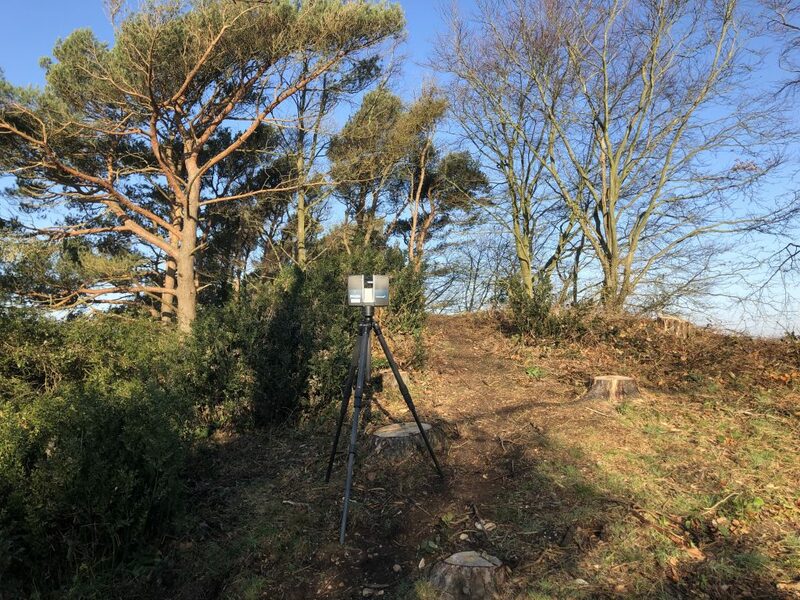 The earth mound was likely landscaped and used as a Victorian garden and observation point as it’s high point offers views as far as the Isle of Wight. 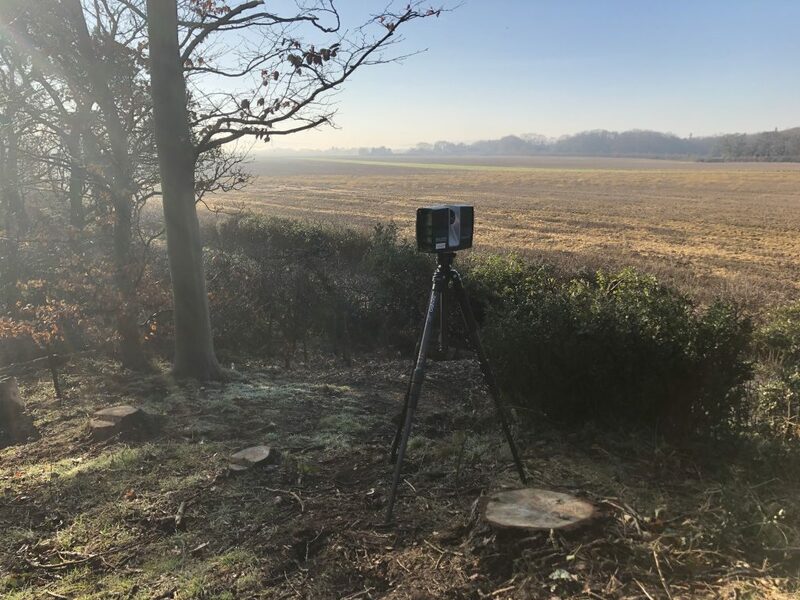 The purpose of the laser scan recording is to document the current state of the building, not only to act as a preservation tool, but to assist engineers and architects in the structural maintenance of the control tower in the following years. 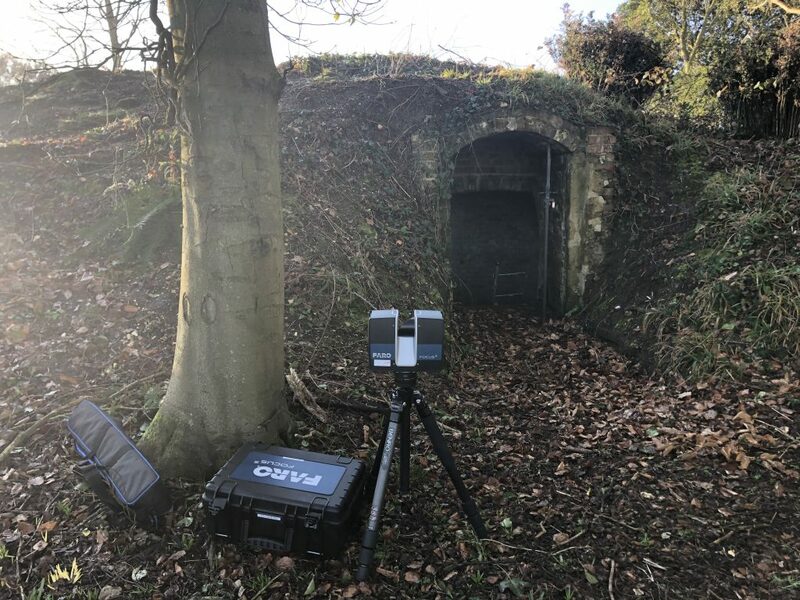 To create a detailed record of the state of the ice house, laser scanning was used via a Faro Focus x70 to capture both the exterior and interior features of the structure. This incorporated over 50 individual scan positions. 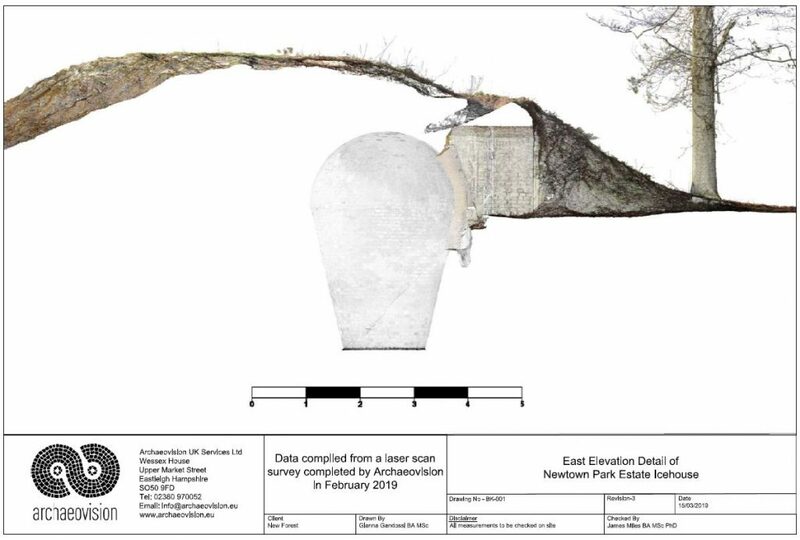 The resulting 3D model was then used to created very accurate CAD drawings of the current state of the building, which you can see a sample of in the images below. 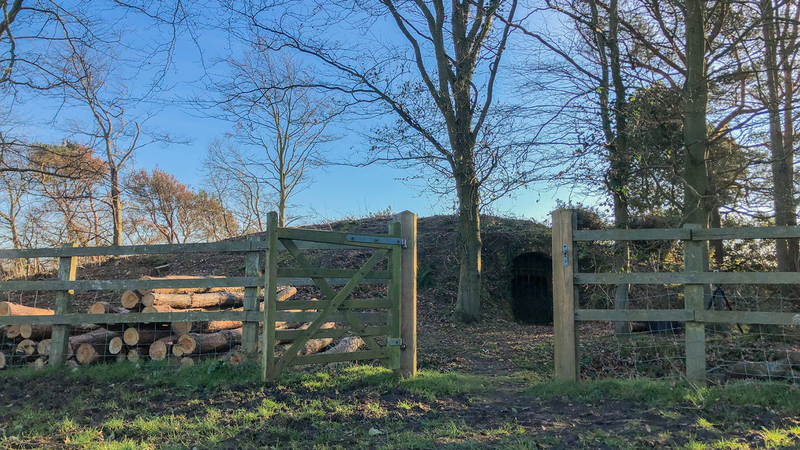 The following video provides an overview of the site, and focuses on the ice house and its sub-structure. 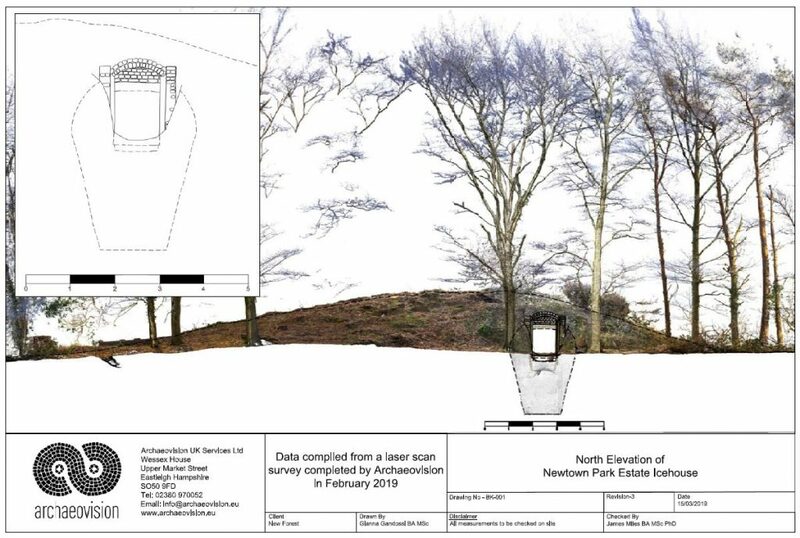 A similar recording project was completed by Archaeovision at Beaulieu Estate in 2015 and with both 3D models providing unique insights into architectural form of the sub-substructure, a comparison between the two ice houses can now be made which until now, would have been impossible to complete.